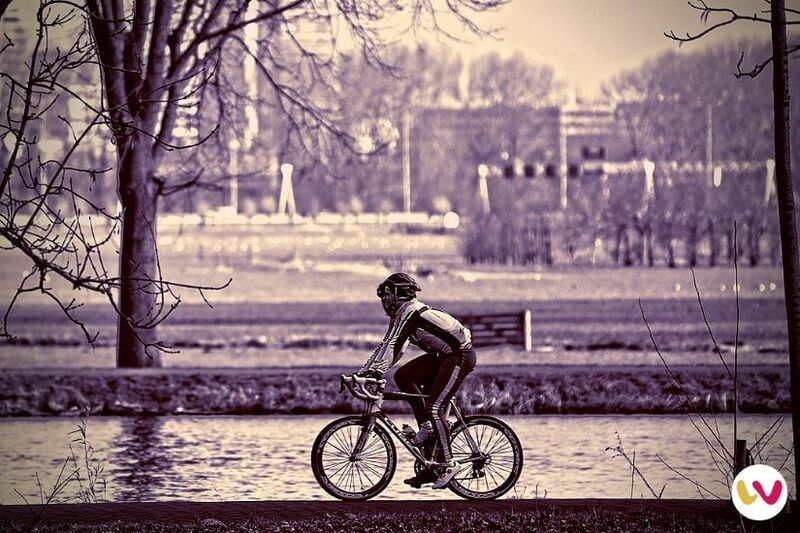 If you are an avid cyclist like we are, we are certain you would agree with us when we say that one of the most important cycling accessories to have is a good cycling jacket. A great waterproof cycling jacket keeps you dry while at the same time it also keeps you warm if it is made from the right materials. There’s also the safety aspect: a reflective or brightly coloured cycling jacket will allow other traffic to see you, and we cannot express how important this is when cycling in urban traffic. 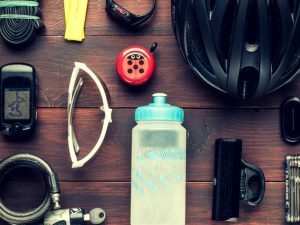 On top of that, a smartly-designed cycling jacket equipped with pockets and compartments is extremely useful for carrying drinks, sustenance and even your phone. Yes, we all know that one rider who always carries their phone to record their ride on Strava! 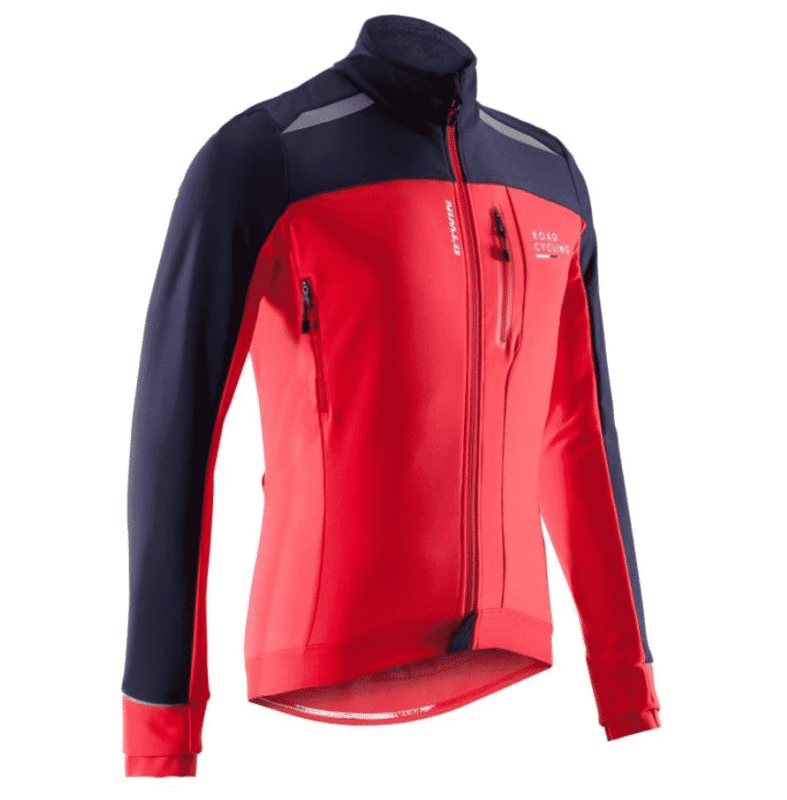 That being said, with an array of brands, materials, type of jackets and cycling retailers out there, how can we know which cycling jacket to buy? Never mind if you are just starting out, it is equally overwhelming for seasoned, experienced cyclists to choose the right one! That is why we put together this post to share our quest to find some of the best cycling jackets currently on the market. 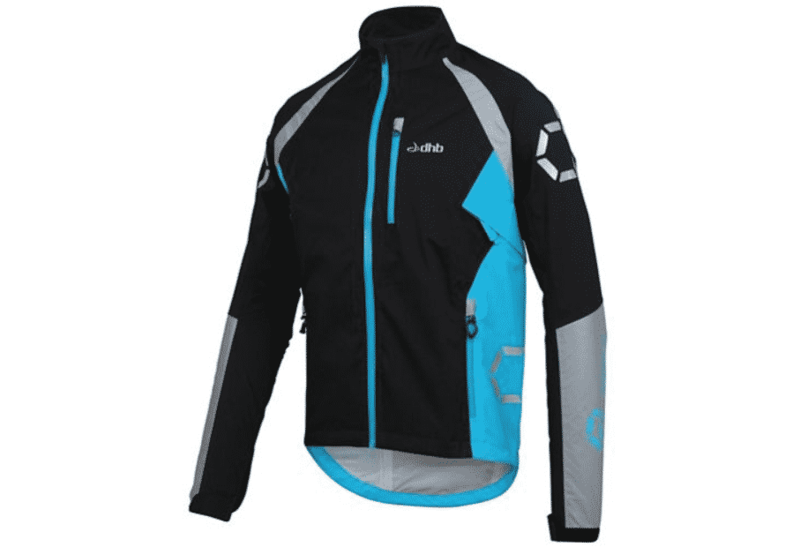 However, before we get to reveal our results, let’s check out some important features you need to look for when you want to purchase a cycling jacket. Windproof – perhaps more of a design element than material, you need your cycling jacket to provide protection from the wind. Softshell – among the most popular with commuter cyclists as they can be packed down to a small size when not in use, softshell jackets can be surprisingly warm and protective as well as affordable. As with any form of clothing, you need to make sure your cycling jacket offers a sufficient fit. Too large and it will let the rain and wind in, too small and it will be uncomfortable. Always check the manufacturer specifications and description for the likes of a slim or loose fit, body fit or any other size indicators that may help. 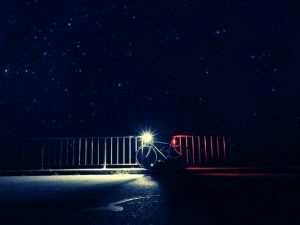 High Visibility – essential for commuter cycling in the dark, you really should consider some form of either high-viz jacket or garment, or a reflective sash, on top so that you can easily be seen by other traffic. Hooded – we strongly recommend a hooded jacket as the best choice for maximum protection against wind, rain and perhaps snow. 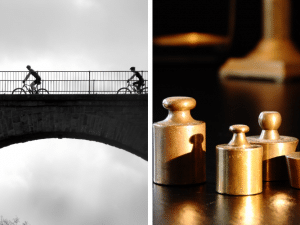 Weight – the lighter, the better, especially if your journey is a lengthy one. Packable – you want to be able to pack your jacket away in a small package when you get to work or home, or when it is not needed, so check those that have this function. Cost – finally, you need to know how much you want to pay, and stick to that budget, as there is quite a large range of prices. So, let’s check out some of the best cycling jackets on the market. A neat design from Endura, a known brand that combines strong material with lightweight and a close fit for comfort and protection. Made from lightweight nylon that is fully waterproofed, this jacket is a nice tight fit and is available in a range of hi-viz colours. The zip has an internal storm flap, the seams are sealed for added protection, and the cuffs are stretch fit to keep the rain and wind out. if you are looking at competition use, it’s a nice, good quality jacket that would be suitable for any type of conditions. It is not padded, however, so if cycling in very cold conditions you may want to look elsewhere. 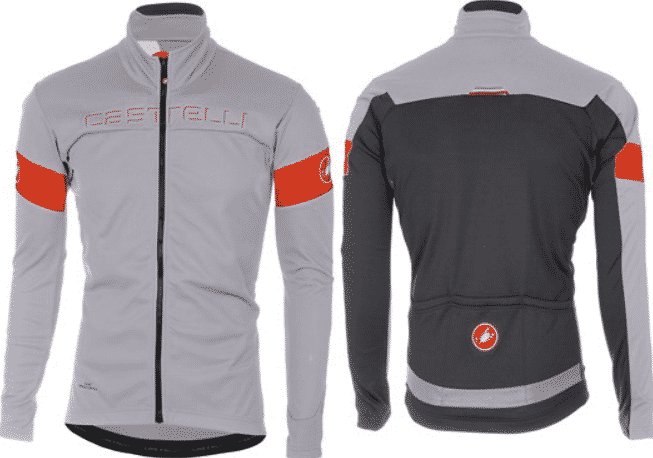 One of the leading brands in performance cycling gear, Castelli features a few times among our selections, and this is a genuinely top quality jacket in every way. Made from the latest, patented materials designed for keeping the elements at bay, this is a jacket designed for performance use and priced for it, too. It is nevertheless a very impressive product, so if you want the best for your commute, this could be it. A 100% polyester outer combines with a carefully created lining that is made up of elastane, polyamide and a selection of other fibers for waterproofing and weather protection, this jacket is available in three colours with hi-viz detailing. It may be best to purchase a reflective sash as the entire jacket is not so. A selection of three pockets is a welcome touch for carrying smaller belongings, and it is available in a full range of sizes that should suit most buyers. It is designed to be very warm but not to pack into a small size, and you will pay a premium price, but it’s quality. This is a great example of an affordable commuter cycling jacket that is designed for a purpose, with some neat features that are quite surprising at the price. 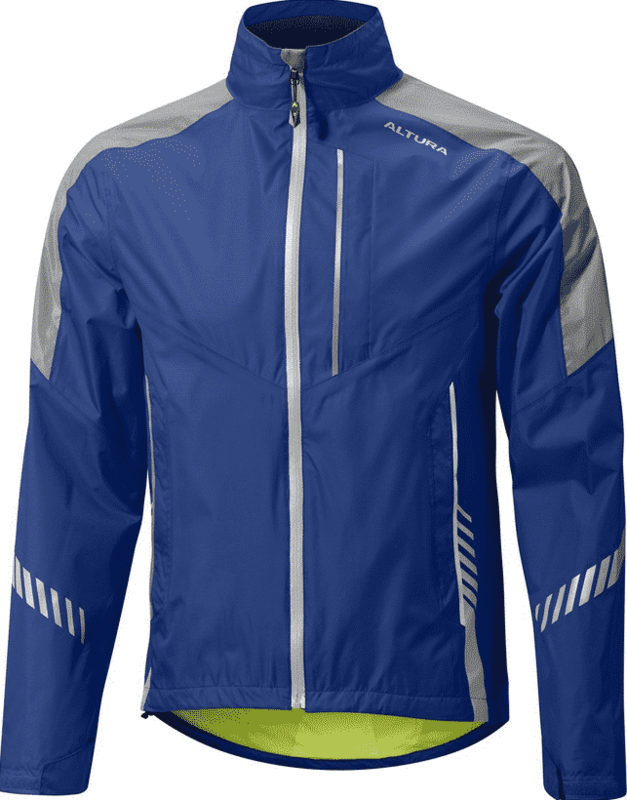 If you are looking for a very affordable yet usable jacket for the cycling commuter run throughout the year, we can recommend you check this one out, and not least because the price is good, it also does the job you want it to do. 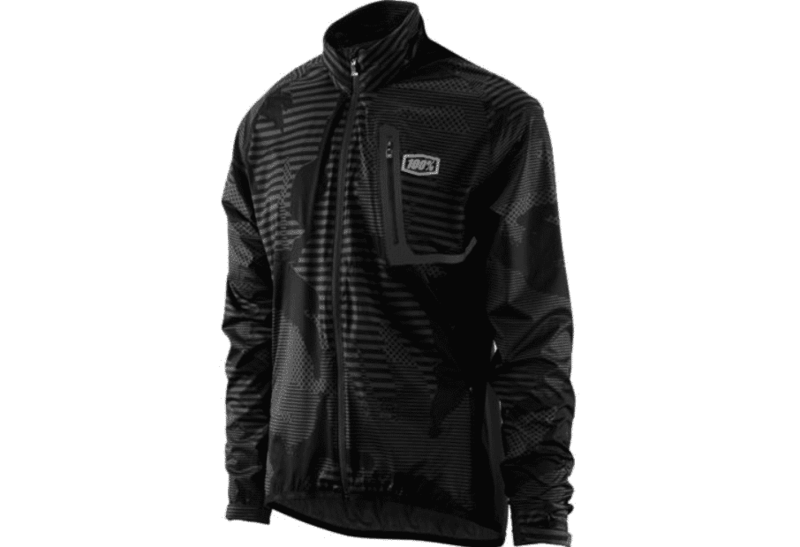 Made from fully waterproof two-layered material trademarked by the maker, and created especially for wind and water protection, you get a neat and wearable jacket that features reflective stripes for visibility in the dark. We also like the integrated flashing light on the back, which is a great safety feature. It has a variety of pockets for carrying your items when on the move, is styled for a close fit, and is available in three colours including a hi-viz yellow (which we would recommend). You can only have it in small and medium, however, so that’s perhaps the only downside. Worth a look at the price, if you want a jacket solely for the commute. 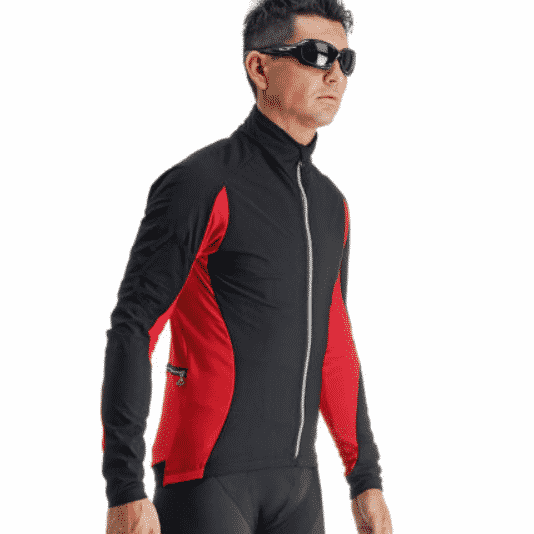 Designated as ‘emergency rain protection,’ this high-quality Castelli jacket is very light, very compact and very impressive, but also very costly in this company. We did mention there would be a few from this brand, and we include them because they are top quality products. However, unless you want to be paying close to £200 for a commuter jacket, we suggest you look away now! That’s not really fair, however, as this jacket is designed for use by professionals. It’s very, very light – at just 107g – and is made from patented GORE-TEX material that provides the ultimate in protection at such a lightweight. Cleverly designed collar and wrist closures make it even more protective. This one will fold down to fit into a pocket and comes with the brand name in reflective letters (as it is finished in black, we strongly advise you also buy a hi-viz sash for use with this one) and is available in a range of seven sizes from extra small to extra-large. If it’s what you want and you’re happy with the price, it’s very nice indeed. From the Gore brand itself comes this Gore-Tex jacket, providing the reliable and impressive protection against the elements that this very popular material is regarded for. Made from Gore-Tex and polyester, and with twin linings, this jacket is warm, protective and very light. It is also designed to be very breathable so is perfect for cycling in and out of work. This is not a cheap jacket – not quite as pricey as the above but not far off – but it is a quality item. The zip has the added protection of an under-flap, and the long back is designed to protect further against splashes. It is fully waterproof and has closures designed to protect against the wind. The hem has a cord and elastic for adjustment, too, which is a nice feature. The jacket comes with two good sized pockets, one fitted with a zip, and is decorated with reflective details on the front, back, and the sides. It is available in a full range of sizes, and in a selection of colours including a very bright yellow that would be perfect for night riding. Designed for competition use and a high-quality product, this jacket from Assos is very nice indeed if you can afford the price, but may not be what everybody is looking for. This waterproof and windproof jacket is primarily made from a polyamide and polyester mix, which is a great choice for waterproofing, breathability, and durability. It is available in a wide range of sizes – from extra small to in excess of extra-large – and is presented in a range of attractive colours. The jacket uses six different materials in 18 separate pattern sections and is quite a sophisticated construction as a result. It is light and warm and is fitted with cleverly designed zips with added protection elements, as well as being sealed along the seams. We’re not sure that we would recommend this as a commuter jacket; it is not reflective or hi-viz, to begin with, and while light in weight does not pack down into a compact package. It does come with a series of handy and secure pockets and is beautifully made, so if it appeals to you is worth checking out. 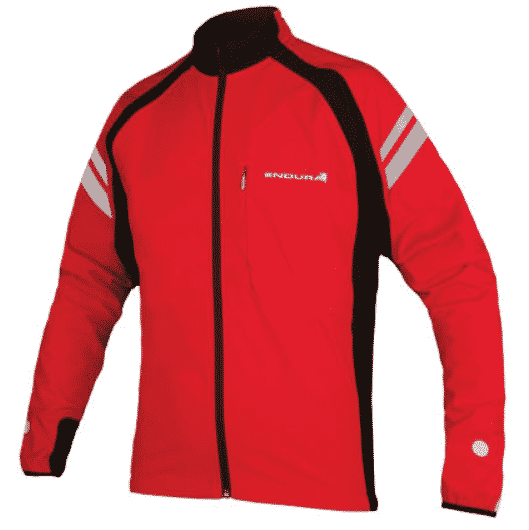 Another choice from the brand that the professionals prefer – Castelli – and it really is a very impressive jacket in every way. Once again, it’s not cheap, but if you want the best, this could be it. 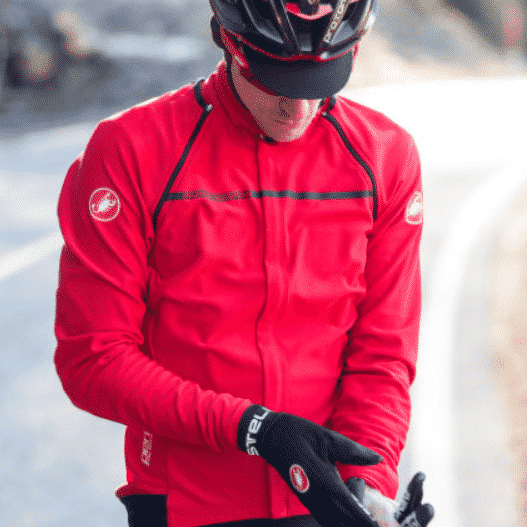 Castelli continues to attend to the needs of professional riders with its impressive range of all-weather jackets, of which this is one of the best. It is made from the most up to date materials, to provide the best in weatherproofing and fit, it’s a very attractive garment that is designed also for comfort. This one can be worn in long-sleeve format, or the sleeves can be removed if preferred (although we wouldn’t recommend that on the cold and wet commute), and it is available in a range of colours with reflective detailing and lettering. 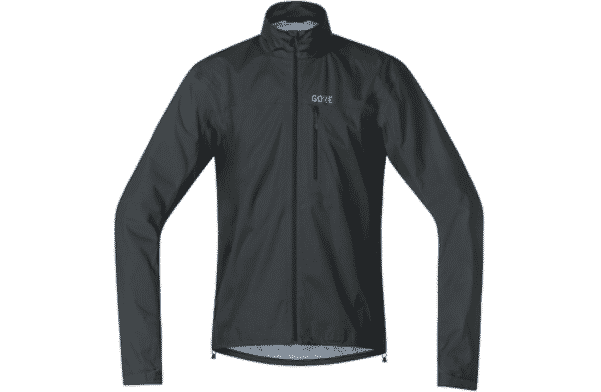 Gore Plus material makes it light, durable, and effective, and the shielded zips and seams are a bonus. You get a selection of pockets, a storm flap for wheel spray protection, and it is available in the full range of sizes from extra small to extra-large. Another jacket from the makers of the famous Gore-Tex material, this one offers excellent protection and fit, and also comes at what is a reasonable price for a jacket in this part of the market. 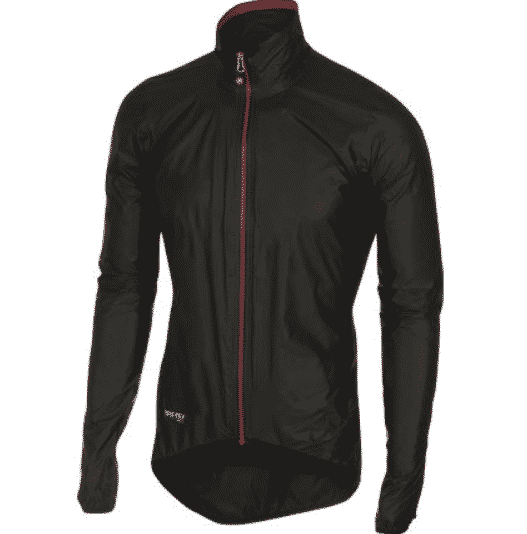 This is a very nice jacket that features an off-set zip, a great idea for added protection in the wind and rain. That also allows for a large pocket to be incorporated on the front, also with a zip. It’s made from the patented Windstopper material, which is very protective and also warm, so you have that guarantee of protection. The jacket also features detachable sleeves, has additional pockets on the back and sides, and is designed with a collar that is ergonomically shaped for comfort. The jacket is designed for a tight fit and can be packed down to a reasonably small size for carriage when not in use. This is a quality jacket in every way, and from a name brand with a strong and proven reputation, and in comparison to others of this type is sensibly priced – if not cheap. It is not fully hi-viz, however, so we would recommend the addition of a sash for safety. This jacket has been developed specifically for use in adverse conditions and is made from the right combination of materials. It’s also quite stylish so you can wear it when not riding. Lightweight and designed with aerodynamics in mind, this nice jacket sits in the middle of the range where price is concerned and has plenty going for it. It’s made from a polyester and elastane mix, which is among the most popular for waterproofing and wind protection and is designed with taped seams for added protection. This jacket has a series of pockets that are also zipped and protected from the rain, and has back venting for airflow so is a breathable jacket in all conditions. It is a close fit for the very best riding conditions and is available in small, medium and large sizes – so not the full range. Where visibility is concerned, this one features reflective logos, and you can have it in three colours. The black and camo versions we would suggest need an additional sash for visibility, but the third colour is a nice very bright orange that should be suitable for night riding. Overall, a nice jacket at a price that while not cheap is not at the top of the range. A further item from the extensive Castelli range, this jacket is designed for light autumn riding – we take it that means not the coldest or worst of weather – and is typically great quality. 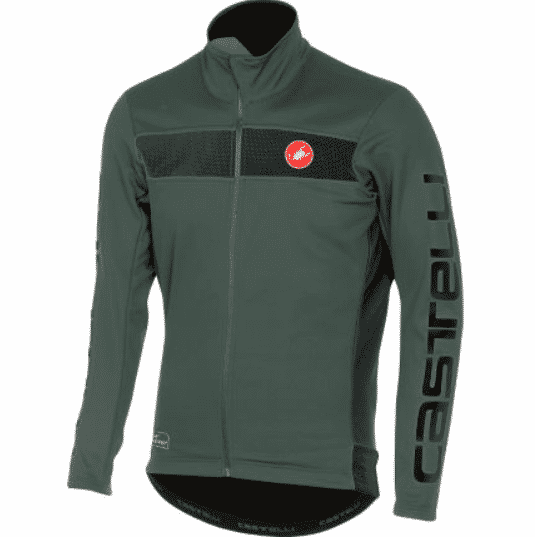 Castelli covers all the bases with its wide range of cycling jackets, and this one is at the lower end of its price range – although still at the higher end of ours. An attractive design with a tightly fitting profile, it’s made to the usual high standard expected of the brand. The Transition jacket is made from a combination of Gore Windstopper material for protection, and it’s a proven one that we have featured a few times here, plus a fleece back that adds to the breathability and comfort of the jacket. It provides adequate protection from the conditions it is designed for. With three rear pockets that are handy for storage, plus a weight at less than 350g, this is a classy jacket but not one we would suggest you wear in prolonged heavy rain, for example. Also, while it comes with a reflective logo, we would like to see a hi-viz version. It’s available in all sizes from small to extra-large, and a nice selection of colours. 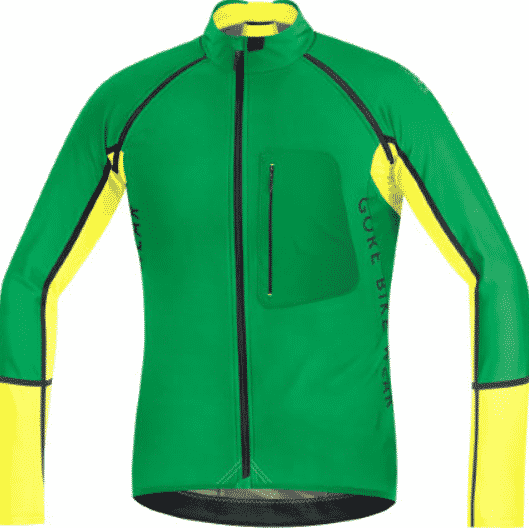 A very bright jacket that provides excellent visibility all-round, this is perhaps the ideal choice for those who commute in the dark and wet conditions. It’s not cheap, but it’s very good. If there is a jacket that looks like it’s designed for use in dark, wet conditions, this one – from the dhb brand – must be it. It is finished in a very bright fluorescent yellow or red, with reflective sections all over that are designed to provide 360-degree visibility of the rider from other traffic, and it is very effective indeed. Made from three-layered material that is selected to be fully waterproof, protective against the wind, and also warm, this is a jacket for the height of cold weather, with satisfied customers testifying to its ability. It has full flaps to protect the zips and the many pockets, an adjustable hem for spray protection, and the fabric stretches for comfort. A fleece lined collar adds comfort and protection, the cuffs are fully adjustable, and it is a very nice jacket in many ways. It’s not the cheapest, but it comes in all the sizes, and at around £120 we reckon this one will last you many years and do a great job. 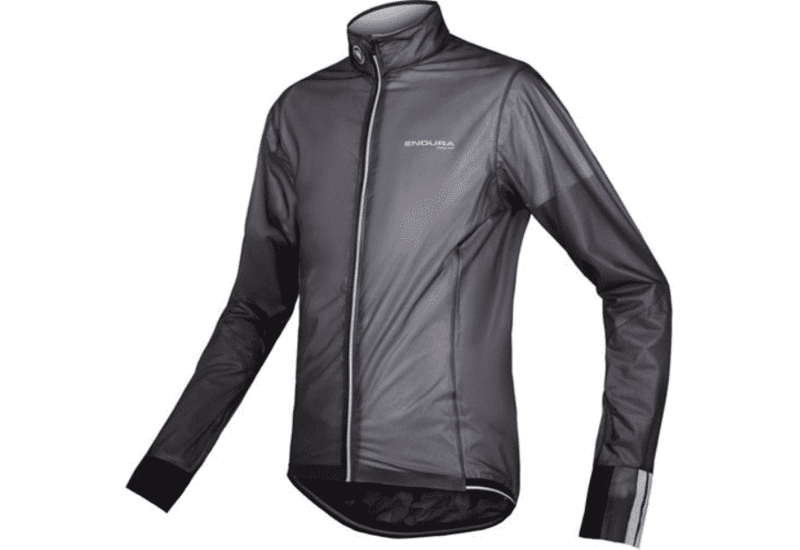 Purporting to be the only cycling jacket made from entirely reflective outer material, this neat and wearable model is very nicely priced, but beware of limited availability. 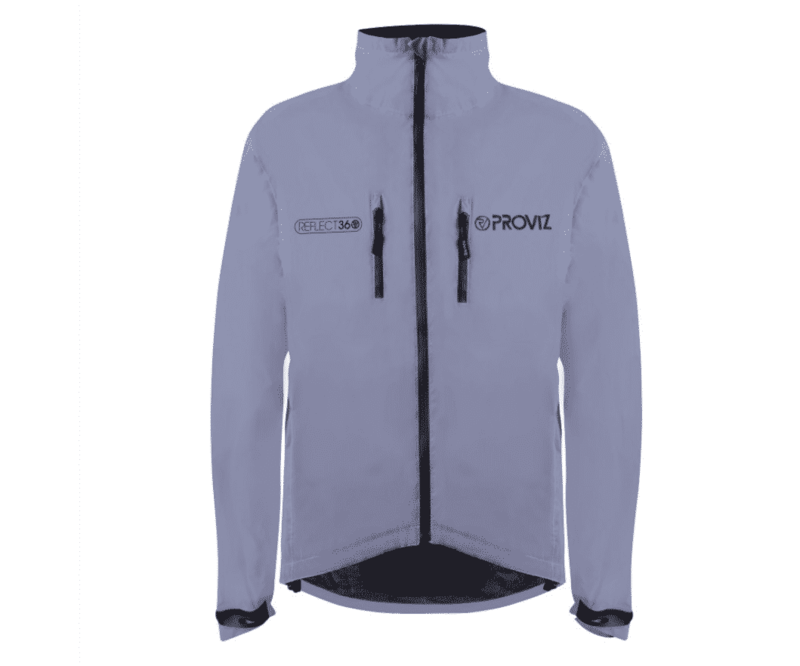 The Proviz Reflect 360 is unique in that it is entirely reflective, and in that respect, it fits nicely into our selection of commuter jackets. The fully waterproof outer shell is aided by a warm inner lining, and the effect is a close fitting jacket that has some impressive qualities. This one comes with a fleece lined comfort collar, and adjustable waistband and Velcro cuffs for added protection from the elements, and is made to a decent standard. Mesh lining aids breathability, while the rear spray guard is also a welcome addition, especially in the very wettest conditions in the cold months. It has a chest pocket inside and a lower pocket for additional items, is equipped with air vents for comfort, and the seams are sealed for waterproofing. It usually comes in a range of sizes but as of the time of writing, is only available in extra-large, so while the price is very good indeed, we recommend you check availability before making this one your choice. This very affordable jacket is designed for all-season use, and despite a too good to be true price, is very much worth looking at with excellent qualities and some interesting features. It is made from 95% polyester with a touch of elastane, this nice jacket is one of the cheapest on the list, but that should not deter you from giving it a closer look. It benefits from ‘Roubaix’ materials underarm, sides and back for added breathability, and is very well made given the budget price. Fully waterproof and featuring a stretch front and sleeves for added protection against the wind, this jacket has a selection of zipped pockets that are ideal for carrying your possessions when on the move. It comes in a full selection of sizes starting at extra small, all the way up to ‘XXL’ and is available in two attractive colours. This one is not designed as an emergency cover so will not pack down to a small size, and while it does have reflective patches on the back and sides, we would advise use with additional hi-viz products in dark and wet conditions. If you’re on a budget and want a jacket in which to add a layer, this is certainly one for your shortlist. Our final choice is this jacket from B Twin, and it’s designed for competition use. That doesn’t stop it being a very capable jacket for commuting, especially at a very attractive price. A competition type jacket that is nicely made and well considered, this jacket from B Twin is a popular one with riders who are on a budget and provides more than adequate protection. The windproof and waterproof material, plus the long back design, provide weather protection, and it comes in some nice colours. With no fewer than 5 pockets there is plenty of space for carrying everything you need. It has a removable neck collar which is a neat design touch, and it comes with a full-length zip and features an all over added waterproof membrane for extra protection. All of this from £60 is pretty good. It is an 80% polyester and 20% elastane mix, which is a good choice for this type of garment and has adjustable vents for breathability. Where it falls down is that it is not at all reflective so you will need a hi-viz vest or sash, and it does not pack into a small compact shape, but at the price, you might forgive those points. 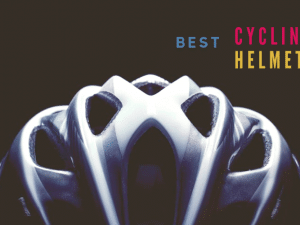 That’s our list of the best cycling jackets, so which is for you? Let’s see if we can recommend one that suits. To be fair, it is difficult for us to recommend any of these jackets without being aware of the sort and regularity of use that it will be put to. For example, for someone who rides to and from work in reasonably wet conditions, the first on the list is fine at a sensible price, while the last one is perfect for someone on a budget. For anyone who will settle for nothing but the best, it has to be one of the many Castelli jackets, as they really are the best quality. As for those who are looking for a mid-price jacket, with excellent visibility, comfort and protection from the weather, we recommend the dhb Flashlight Force, number 11 on the list, as it offers everything you could need with very little left wanting. 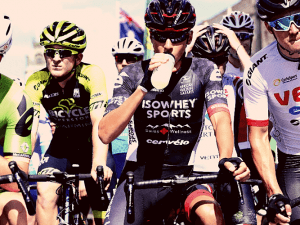 Cycling & Weight Loss: Is Cycling Good for Losing Weight?